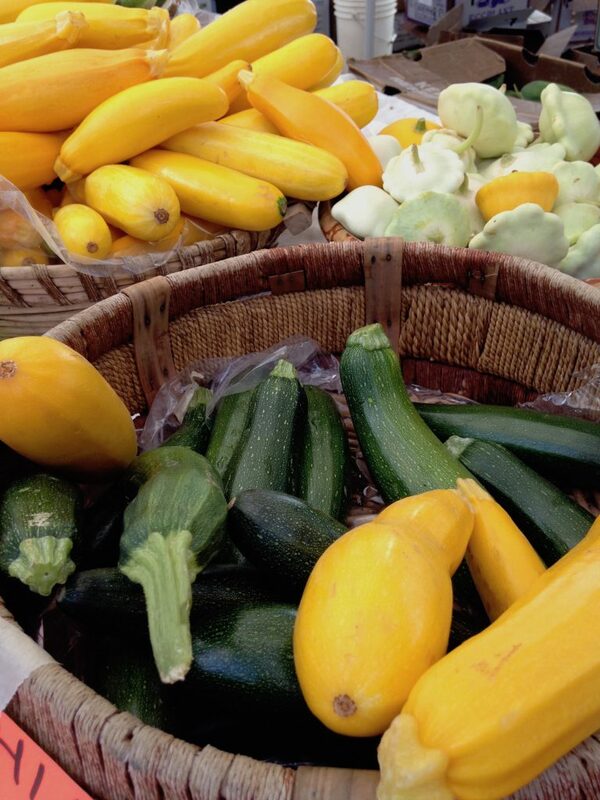 In-season summer squash are available from June through fall from your local farmers! Summer squash isn’t just for lunch and dinner. They can be incorporated into healthy breakfasts, as well. Try adding chopped summer squash (sautéed or raw) into quiche recipes, hash browns, or omelettes. Squash can also be made into savory breakfast pancakes when grated, mixed well with two or three eggs, about 1/2 cup of flour, salt and pepper, and fried on the stove in a bit of oil. Add a side of salsa and a fried egg for a delicious meal. There are many recipes for pickling squash, and they’re all delicious. Summer squash can be pickled with simple ingredients such cider vinegar, mustard seed, salt, and a bit of sugar. Don’t forget to add some local onion for additional flavor! And pickling means you can buy in-season summer squash in bulk, frequently at a discount if you ask your local farmer, and preserve them for eating during winter when summer squash is out of season. We’ve all heard of zucchini bread as a favorite use for that never-ending vegetable, but summer squash can be used in many dessert options. In fact, your favorite zucchini bread recipe can be made using any summer squash; just substitute the zucchini in your recipe pound-for-pound with any summer squash. And breads aren’t the limit of squash’s dessert capabilities. Cakes, cupcakes, cookies, and even cobblers can be made using summer squash as an ingredient that lends moisture and enhanced nutrition to recipes. 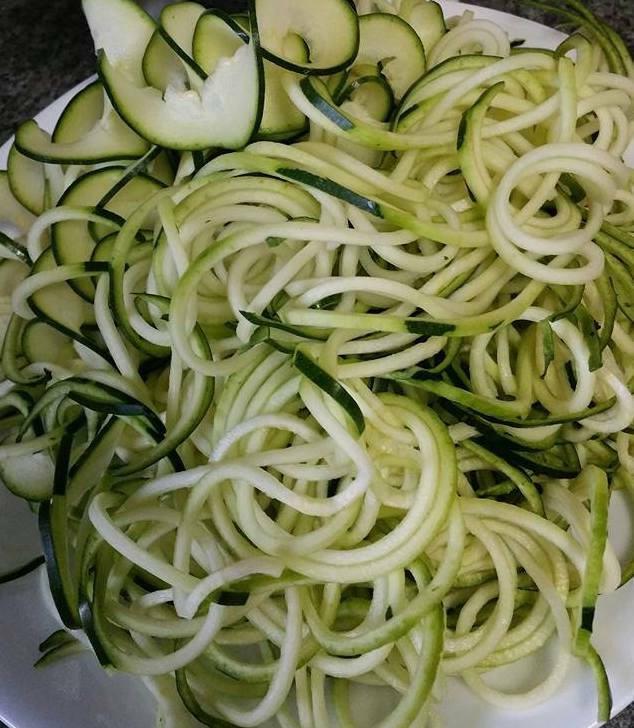 You’ve likely heard of the “zoodle”, the name given to zucchini that’s been spiralized into noodle shapes. 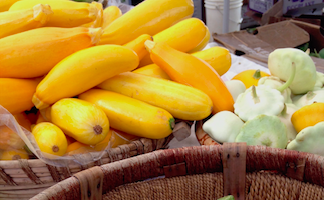 But any summer squash can be used as a noodle substitute, including pattypan squash. If you don’t have a spiralizer, you can make your own zoodles by using a simple julienne peeler, or slicing the squash into thin match-stick pieces yourself. The resulting zoodles can be boiled in lightly salted water for 3 to 5 minutes, or until tender, and tossed with your favorite sauce (make sure you drain the zoodles well first). All summer squash can be made into zoodles, not just zucchini! Guess what? Those zoodles you made can be dehydrated for later! A thicker zoodle works best here; zoodles made with a julienne peeler tend to shrivel into nothing once dehydrated. Dehydrating zoodles is easy, and you don’t need a dehydrator to do it (though having one makes it easier). Just place your zoodles on cookie sheet in a single layer and leave them in a warm oven (about 120 F) over night. Summer squash can also be sliced into thin rounds and dried for later use. Store your dried squash in a dark cupboard in an airtight container until ready to use. Soak in water to rehydrate, or toss them into soups and stews as-is. Fresh and dehydrated summer squash can easily be added to a variety of soups and stews for a filling nutrition boost; the dehydrated versions don’t even need to be rehydrated first. And during the heat of summer try a cooling cream of squash soup. Just puree the raw squash with chicken stock, celery, onion, garlic, chile powder, salt and pepper, and cream and serve chilled.